Ronan Rafferty was the pick of the Irish challenge in the first round of the Senior Italian Open presented by Villaverde Resort at Golf Club Udine. The Newry professional rolled back the years with a three under par 69 to sit two shots off the pace after a mixed opening day for the Irish contenders. Meath resident Brendan McGovern continued his fine form of late with a sound one under par 71. 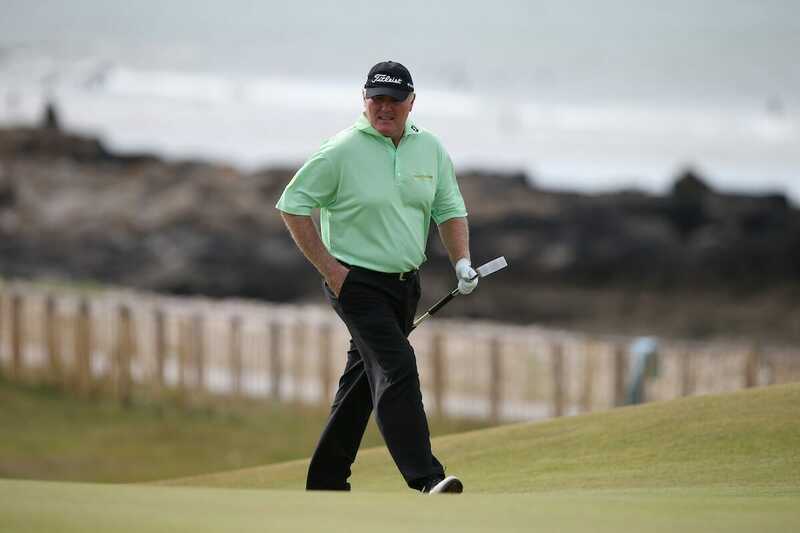 McGovern secured his best finish of the season with a runner-up spot at the recent Travis Perkins Senior Masters at Woburn and looks in no mood to let the foot off the pedal just yet. Unfortunately it was a different tale for Philip Walton, the former Ryder Cup hero carding a disappointing five over par 77 leaving himself much to do heading into the weekend. At the head of affairs, Clark Dennis carded a five under par 67 to take a share of the lead on day one. Joining the American, who also posted his best finish on the European Senior Tour at last week’s Travis Perkins Masters, a share of second place, are England’s Gary Marks and Scotland’s Gordon Brand Jnr. The 51 year old has enjoyed a remarkable year since earning his card at Senior Tour Qualifying School in February, finishing inside the top five four times in nine events. “I played solid today,” said Dennis. “I managed to get around with no bogeys so it was a good day. I hit the ball very nicely and got up and down a couple of times to keep the momentum going. Brand Jnr, who represented Europe at the 1987 and 1989 Ryder Cups, also carded a bogey-free round in northern Italy. Marks, who was unable to defend his Willow Senior Golf Classic title a fortnight ago due to injury, is pleased to be back in contention again as he bids for his second Senior Tour victory. “It’s a funny thing because I played well on the front nine, but hit two wedges into bunkers and bogeyed both those holes,” said Marks. “On the back nine I mostly played well, but I had a couple of strokes of fortune. “On one hole I drove down and it pitched in the water and bounced out, which gave me a shot, and on the 15th I had a bad swing go into the trees but it bounced back out. “Luck comes and goes in this game. At Woburn last week I had no balls come out when I went into the trees. Today I had a little bit of luck; I took advantage of that and now I’m in a nice position. Sharing fourth place on four under par are Switzerland’s André Bossert, Paraguay’s Angel Franco and America’s Tim Thelen. Seven golfers are a shot further back on three under par.